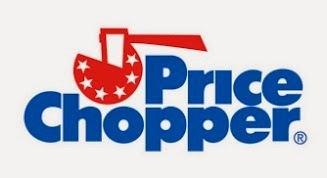 Price Chopper Weekly Coupon Matchups 10/12-10/18! Boneless Chicken Breast or Boneless thighs - $1.99 lb. Pork Spareribs or Boneless Pork Sirloin Chips - $2.49 lb. Peruvian Sea Scallops - $6.99 lb. California Red Seedless Grapes - $0.99 lb. Gala Apples - $1.49 lb. D&W American Cheese - $5.99 lb. PC Off The Bone Ham - $6.99 lb. Wundebar Bologna - $2.49 lb. Adam's Reserve Cheese - cut from gourmet cheese dept. PC Honey Smoked Turkey Breast or Swiss Cheese - $5.99 lb. NEW: $0.75 off any one New York Brand Frozen Product - click on "food category" to quickly locate the coupon, for me it was on the 5th page. Deal: Buy 8 at $2 each (shelf $2.99), use (4) $1/2 + $5/$22 saving star = $0.87 each. $1/2 Ziploc saving star may come off as well = even cheaper. I am that lady posted a 50 coupon for micro spaghettios. Free. I don't believe that type is included but I'll check - thanks!